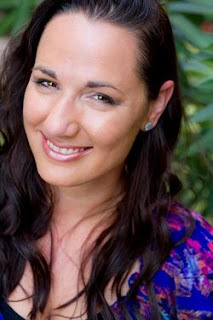 Anyone who has read my blog for the past few years knows I can't go long without a Jennifer L. Armentrout book. Not only does her writing entertain and grip readers, but her plots are always unique and interesting. 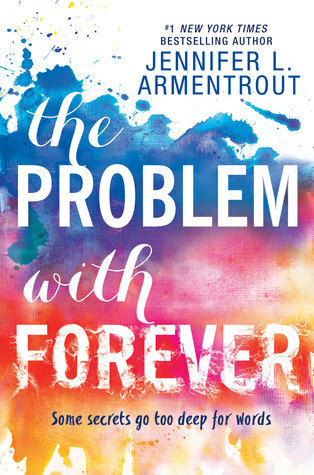 I was definitely excited to see what kind of book The Problem With Forever would be, stepping away from the Fantasy genre I had always linked Jennifer to. I thoroughly loved this book. Usually, I save my more praising notes for the end when I wrap up my review, but it had to be said: this book was perfect. The lead character, Mallory, or Mouse as she had been nicknamed, had been through hellish and bad times. Now, since those times had gone she had been home-schooled for years with loving and incredibly caring adoptive Parents, but now it was time to go to school for Senior Year to prepare for College, back into the open world. It was not only a scary experience for her, but for me as a reader, watching her go through this inner struggle. When Mallory gets to school, she doesn't expect to run into Rider. His face brings back a whole lifetime of memories, mainly the ones of him defending and protecting her back then. She doesn't expect to find that the tethered connection isn't as broken as she thought it was between them and it's easier to reconnect than met the eye. But Rider's life isn't perfect and before she knows it, she's watching it run away with him and cast him into bad ways. The only way she can help is to step out of her shadow and silence and into the freedom to grasp the life she deserves after her past neglect and childhood terrors. It's the only way to save herself, Rider, and secure the lives they both so desperately need. The Problem With Forever is a love story, a friendship, a whirlwind masterpiece and a deep, true-to-life book. It's everything you want in a book. It didn't take me long to finish it and it will be with me for a long time yet. Every time I read something new by Jennifer I am blown away and this was truly no exception. I'm wonderstruck (as Taylor Swift says) by this amazing story, these beautifully flawed characters and how effortlessly it has become such a winner in my eyes. Truly beautiful, five-star worthy YA read. Anyone who doesn't read this is truly missing out on something so special. What did you think of The Problem With Forever? Check out the other stops on the blog tour to the right of this post! Let me know your thoughts in the comments or on twitter @LittleMemoirs!